Each year, when it’s time to begin shopping for Christmas presents, do you get a little anxious about finding perfect gifts for the ones you love? What do they want or need? Where can you buy something unique they will cherish? If you’re anywhere near Sonora, CA, Thanksgiving weekend, plan to kick off your holiday shopping with a trip to the Sonora Christmas Craft & Music Festival. Now in its 43rd year, this annual Sonora Christmas Festival is so much fun to experience for the homestyle food, the holiday performances and, of course, the handmade crafts from more than 100 artisans. 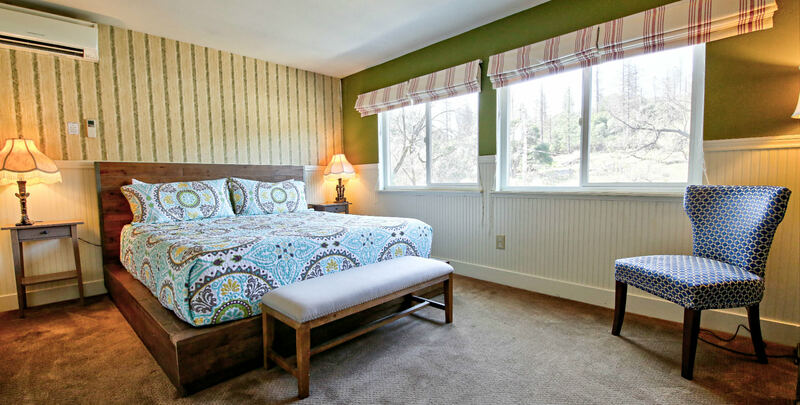 Make Hotel Charlotte in Groveland, CA, your home base while you explore surrounding areas and local events. Cities like Sonora are a short drive from our cozy hotel, plus we’re conveniently located at an entrance to the Yosemite National Park. Use our free Vacation Guide to plan each day of your stay. And keep in mind that our local shops and celebrations, like the Sonora Christmas Festival, are a great way to kick off the holiday season. What’s On Tap for This Year’s Sonora Christmas Craft & Music Festival? The 43rd Annual Sonora Christmas Craft and Music Festival will be Nov. 24-26, 2017, at the Mother Lode Fairgrounds in Sonora, CA. The event will be open from 10 a.m. – 5 p.m. Friday and Saturday, and from 10 a.m. to 4 p.m. Sunday. It is held rain or shine. What’s on tap for this year? No matter which day you attend during the weekend, you’ll experience holiday music, street performers, handmade crafts, Christmas decorations and delicious treats from food vendors. When it comes to shopping for a special item, take your time to browse the more than 100 artist vendors. You’ll find an array of jewelry and accessories, stoneware, gourmet food, clothing and more. Check the website for the latest information about vendors. Blue Lotus – Hand-crafted necklaces, bracelets, and earrings with feathers, beads, leather, and gemstones. The result is a wearable piece of art. Diehl Woodcraft – Custom, handmade wood products such as a wine bottle opener with a sleek wooden handle, cutting boards with unique patterns, and salt and pepper shakers that are as beautiful as they are useful. Canvas Prints by Jerome – Scenic photography printed on canvas. Selections include photos of the falls in Yosemite National Park. Artemisia Herbals – An array of herbal healing balms, lip balms, and beautifully made soaps. In addition to the amazing gift options at the Sonora festival, you’ll also find vendors selling mouth-watering pizza, chowder, chocolate, and so much more. Beer, wine and seasonal beverages are also available. Past entertainment has included bands that play everything from traditional Celtic music to American folk music and even a vaudeville-style cowboy show. There is a special area for families where the kids can enjoy juggling and comedy acts, bounce houses, photos with Santa and more! The Sonora Christmas Parade happens in downtown Sonora each Friday following Thanksgiving. Enjoy the homemade floats, antique cars and a long-standing tradition in a charming small town that is sure to lift your spirits and warm your heart. With holiday activities like the Sonora festival and the Sonora Christmas parade, you’re sure to get in the holiday spirit. Take advantage of our local festivities and then relax and recharge at Hotel Charlotte. Here, you’ll be welcomed by our friendly staff, who can get you settled into one of our cozy hotel rooms or vacation rentals. Enjoy our amenities, indulge in a delicious meal at our restaurant Fork and Love, as well as a hearty breakfast each morning. It’s a great way to kick off the holiday season. Check our availability and book your favorite room today.